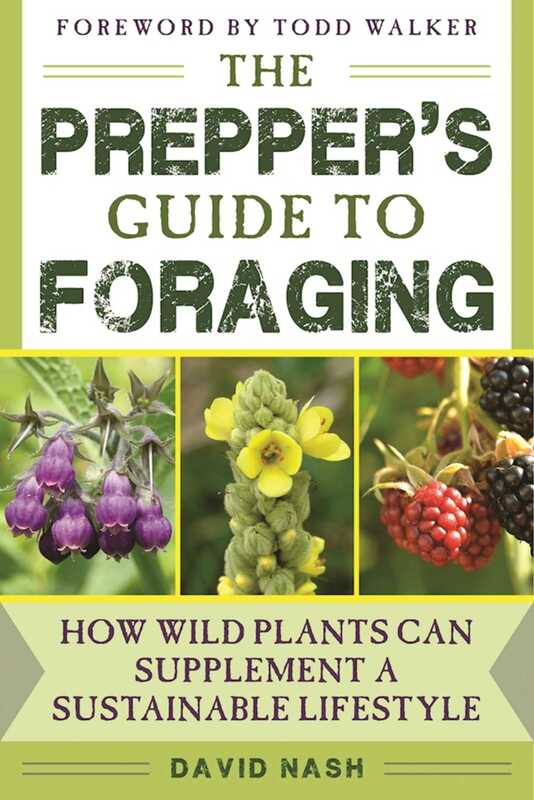 The Prepper's Guide to Foraging is not a plant identification guide in the traditional sense. It is instead a guide to using plants to supplement other means of food production and subsistence living. Author David Nash believes that there is not enough land available for to support a large-scale return to the hunter-gatherer lifestyle in the event of a large-scale disaster, but that botanical knowledge does provide an edge to the well prepared. This book advocates the acquisition of knowledge to allow its reader to safely identify, harvest, and use common North American plants. Wild plants can provide shelter, material, medicine, and food to help the reader extend stored food as well as to create items that may be otherwise unavailable during a crisis. Twenty-five easily identified plants common to the United States are described and illustrated with notations for their common usage. Each plant described in this book comes with one recipe for food as well as detailed instructions for at least one alternative use. Additional instructions for the preparation of standard medicinal items like tinctures, creams, and infusions are included as well as botanical guides to help identify other plants is included. Special emphasis has been added for North American trees.